Within Teamwork Desk you can create an embeddable contact form to allow your customers to send you a message straight from your own website. This will create a ticket automatically in your Desk inbox. To enable this, click on your profile icon to the top right of the navigation bar and select Settings. Near the top of the page select the Apps area of settings. Select Access Contact Form from the left-hand pane. To create a new form click the Create your first form button. 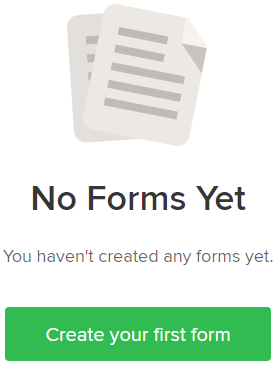 When creating the form you can choose some options for each form you generate, such as. Name - Enter a name for the form. Position - Customize the position of the contact form (top-left, top-right, bottom-left, bottom-right). Theme - Select a theme - Dark or Light. Accent color - Select an accent color. 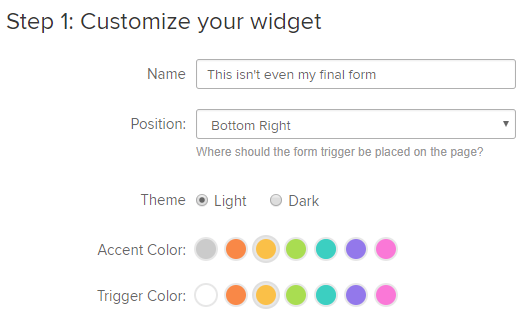 Trigger color - Select a trigger color. Inboxes - Select which inboxes you would like to allow customers to submit tickets to. Help Docs - Include which help doc sites and articles to allow customers to find answers to their questions quickly and easily before opening new tickets. When making your visual changes via the options above you will a preview being updated to the right of the page. This is how it will display to your customers.